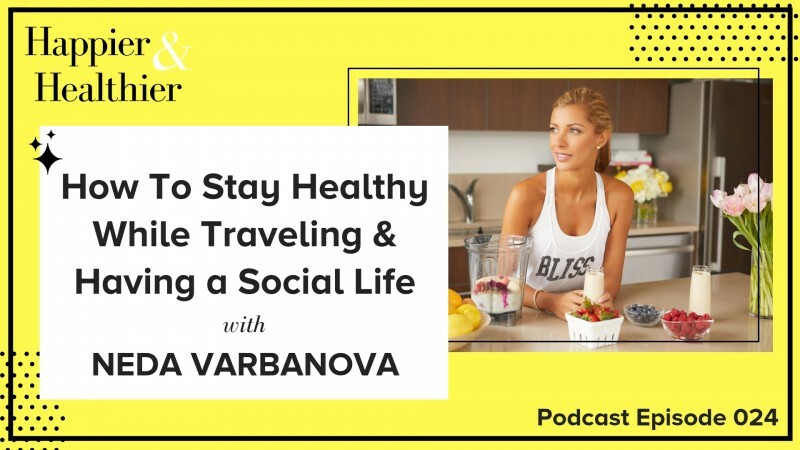 Neda Varbanova is the creator of Healthy with Nedi, a healthy lifestyle brand. She holds a Master’s Degree in Food Studies from NYU Steinhardt, a certificate in Culinary Nutrition from the Natural Gourmet Institute, and is a certified health coach through the Institute of Integrative Nutrition. Neda believes that healthy eating, fitness and a positive outlook are the keys to realizing true health and you can find her living this healthy lifestyle all over the world. In 2015, Neda created Healthy with Nedi as a place to share her figure-friendly recipes. Since then, the blog has evolved into a lifestyle brand where one can go to find healthy recipes, nutritional advice, fitness tips, beauty tips, restaurant and travel guides, and detox ebooks. Healthy With Nedi has been featured in Elle, Well + Good, mindbodygreen, Greatist, and Byrdie and has partnered with many well-known health and wellness brands like Juice Press, ALOHA, Pressed Juicery and more.